Maybe it will be extended to other bands or further directions later next year. Over the last weeks i sometimes listened to the 472kHz band. Some stations are calling CQ in regular CW here and there. 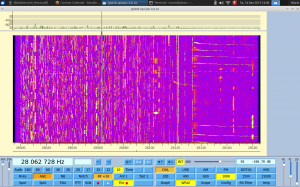 Sometimes there is QRSS activity and you can listen to some stations using WSPR. Here is a audio snipped of one of the loudest stations here, DK7FC. 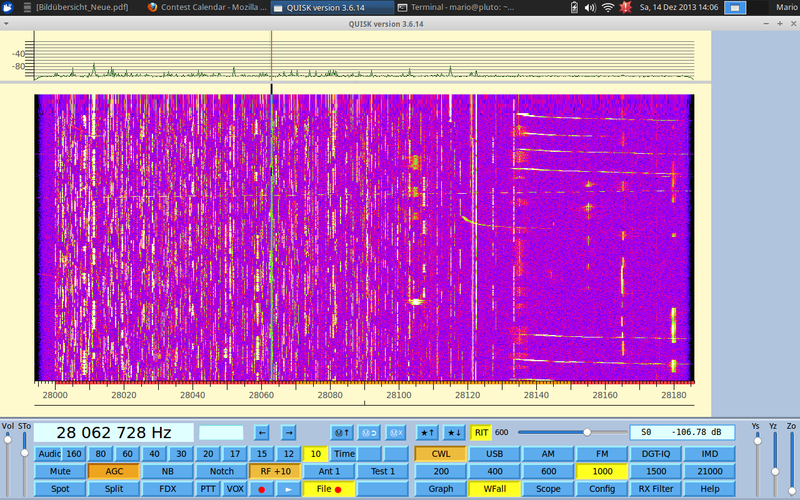 Here a screenshot of a part of the 10m band at my location.